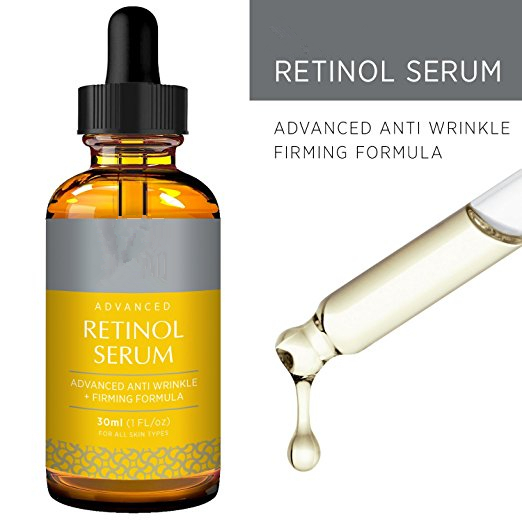 Advanced Anti-Wrinkle & Firming Formula - Retinol is a form of Vitamin A and is the number one anti-aging ingredient prescribed by dermatologists. 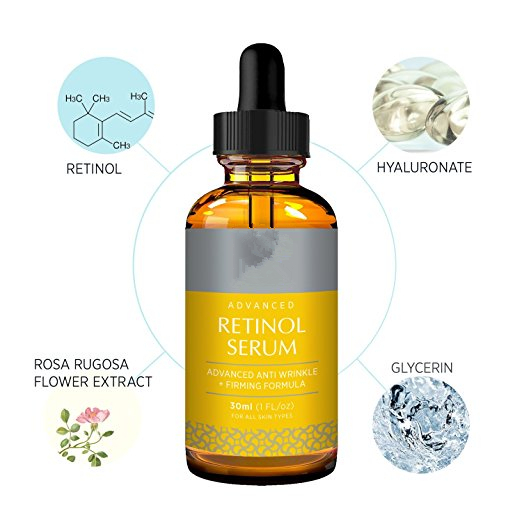 With 2.0% retinol, our serum works deeply and powerfully to combat wrinkles, crow's feet and fine lines, and restores skin's elasticity and youthfulness. 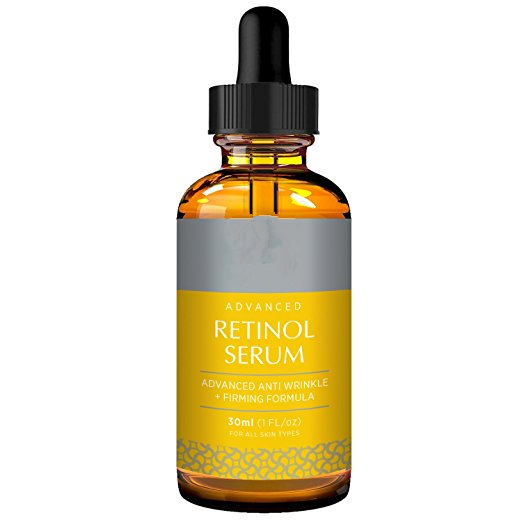 Prevent Collagen Breakdown - Retinol serum helps prevent collagen breakdown and accelerates cellular turnover for smoother and plumper skin. 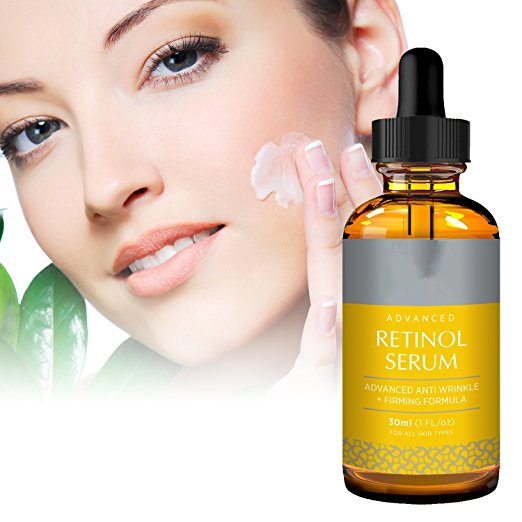 Antioxidants in our serum also reduce the appearance of age spots and hyper-pigmentation. Gentle For All Skin Types - Made with natural and safe ingredients, this serum is mild enough for all skin types. The texture is non greasy and absorbs beautifully. 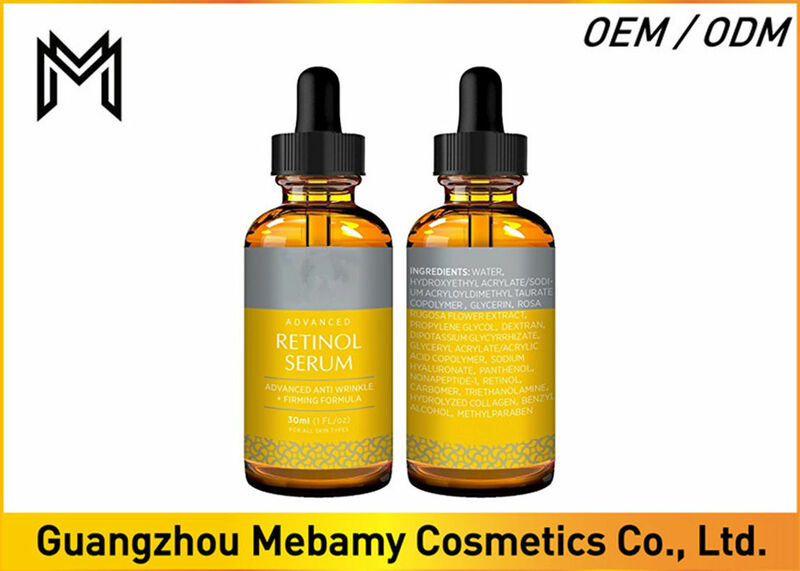 Clear Pores and Acne - In addition to healing and protecting skin from further signs of aging, retinol serum is an effective remedy for acne. It can help unclog pores to reduce blemishes and fade away acne scars.